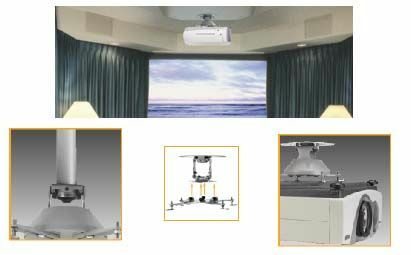 More on the iC Mounting Universal Projector Ceiling Mount iC-PR-IA1 below. A universal design for compatibility with virtually every video projector available today. A 'Secure Connect' hardware kit for added security. iC Mounts' free decorative cover. Adjustable feet for soft or uneven flooring, with no spacers needed. Independent adjustments for precise positioning. Two extension legs (up to 18.5"). 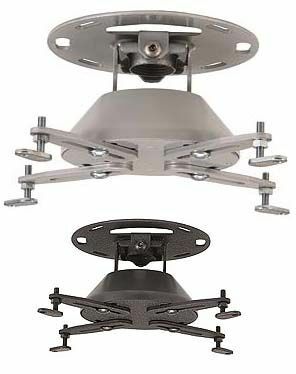 360 degree swivel range, 30 degree tilt and 6 degree rotation. Optional black or silver powdercoat finish. Extension: up to 18.5 in.